This Fortifying Friday, grab a cup of coffee or tea, settle in, and enjoy the story of Cathy Marie Hake’s journey to publication. Birds fly, fish swim, and authors play with words. We can’t help ourselves. Words are the threads, beautifully arranged, woven, and knotted into a magic carpet that carries us to places and times of our imagination. Faith is working on that carpet when we don’t know if it will ever get off the ground. Wouldn’t you know, for all the times my husband hasn’t listened to me, that time he did? He lifted me off the couch, dragged me to the computer, and challenged me to do just that: to write a book. This is where I make the shameful confession that I am Queen of the Technopeasants. When directions involve more than one step, my eyes glaze over and my knees knock. My husband, on the other hand, can’t stand needles. It doesn’t matter if it’s a sewing needle or a syringe, he disappears faster than steam evaporates. Early on in out marriage, we agreed to The Button Rule: If it has a clothing button or a belly button, I handle the matter; if it has any other button, toggle, switch, plug or battery, he handles it. For Chris to stick me in front of a computer broke that steadfast rule. But my husband had faith in me and that this was God’s new direction for my life, so I set to work. Writing is an act of hope—that we can connect words to tell a story that is meaningful and well-told. So we set out gathering slender threads and painstakingly arrange them to construct a carpet. We hope someone will buy our carpet once it’s done. Once I devoted myself to the endeavor, it wasn’t as easy as I’d thought. Threads knotted, or I’d weave the words too loosely and have to clip or unravel. Dozens of books—some finished and others incomplete--filled my computer. I had a veritable carpet bazaar. But would one ever fly? I’d heard about authors getting “the call” where an editor or agent called with the news of their first sale. I dreamed, hoped, and wrote. The call didn’t come. So one day I opened an email. It said, “We’d like to contract this book.” Nothing had gone as I planned, but it went as God wanted. Suddenly my carpets were flying. My first published novel and a novella released the same month—eight years after I’d started. But editors ask, “What else do you have?” I had plenty. Some of them flew. Others have remained drawer babies—but those babies taught me the basics. Faith and hope—they saw me through. Weave your stories and trust the Holy Spirit to let them take flight. Between writing and finally getting published, I didn’t just learn the mechanics. Friendships formed. God and I grew closer. Had I never been published, the carpets my words wove let me fly. Angels have wings; authors have carpets. We both carry God’s message, and it’s an honor. Oh—and the Button Rule? To this day, I destroy at least one computer a year. Don’t ask me how. I couldn’t tell you. My husband works in the computer industry and my ability to break computers astounds him. He brought one computer back to life so many times, we nicknamed it Lazarus. We also had a graveyard of computers in the garage. He taught my son about computers by salvaging parts from them and building a system. I named it Frankenstein. Cathy Marie Hake is a Southern California native who escapes the concrete jungle for the wide-open spaces and tree-filled world in her best-selling humorous historical novels. 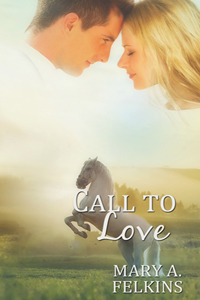 In her writing, Cathy attempts to capture a unique glimpse of life and how a man and woman can overcome obstacles when motivated by love. In her inspirational pieces she enjoys the freedom of showing how Christ can enrich a loving couple's relationship. She met her sweetheart in the High School department at church and married him after finishing nursing school. They have two children and two dogs (one of them even moos - one of the dogs that is, not the kids). Faith in God, a loving family, and a wacky sense of the ridiculous keep her going. I live in the Pacific Northwest, which is known for having a mild climate. Except for those rare winters we experience, like the one in 2009. Cold temperatures, snow, icy roads, and numerous power outages. I missed five days of work due to road conditions. I could just as well have been living back in Minnesota! But this winter . . . ah, this winter . . . we’ve experienced the extreme opposite with record breaking high temperatures. The cherry trees are blooming, and the crocus and tulips are popping up out of the ground. This is early – even for our area! We love it. It feels like spring has sprung two months early. But a small, nagging fear keeps me from fully embracing it. What if the trees have budded out too soon? The blooms burst open before the right time? If a hard frost were to hit – and it’s still a possibility – trees could be damaged to the point of taking years to recover, if they recover at all. Yes, I confess to being one of those. A tree hugger. Whatever happens, God is in control. He decides when the seasons will change. Whether they arrive early or late in our opinion, they’re always right on time according to His plan. It’s the same with our writing and publishing careers. There is a time to grow in our craft and knowledge of the industry, a time to reap rewards from our hard work, and a time to share what we’ve learned. For some, the seasons fly by faster than they do for others. But for each individual, they’re always on time. And isn’t that the way we want it to be? How much better is it for a writer to experience success when they’ve matured in their craft, as opposed to being published too early? Just like a hard frost can damage a beautiful blooming tree, a book published before it’s time – (or before the writer is spiritually ready to step into the shoes of a published author and the responsibility they bring) – can damage not only the author’s chances of selling again, it can damage his/her spirit. The opposite can also occur. We may be fear that we’re not ready to move forward. We may be afraid of failing. Pray. Check your spirit. God may be presenting opportunities planned for you that you hadn’t thought of or dreamed possible. He may be telling you this is your season. The time now. This open door, which leads down a new path, may help you grow, enable you to help others, or provide new possibilities. Have you ever entered a writing contest? If not, have you thought about it? This Writer’s Journey Wednesday, author Robin Miller – writing as Robin Caroll – shares her thoughts on contests. Overall, writing contests get a bad rap. Oh, when a writer finals, places, or wins, it’s all good. But if they don’t . . .
First, there’s the whole deal of score sheets. Really, on a scale of 1-5, you expect someone to put a point system to our works of art? And feedback? If the author is published, how good is the feedback if the book’s published? Can’t exactly change a character arc because the score sheet showed the hero’s journey was a bit too slow. And judges! Who are these unnamed, faceless people? If a writer gets a good score, they’re wonderful, brilliant and insightful, of course. But a bad score? Oh, the judge didn’t “get” the story. Had to be someone unfamiliar with the genre. But I like contests, always have. Unpublished and published. I like feedback. I like score sheets. Call me strange, but I like to know how my story interacts with the reader. A very wise person once told me that your story is just a story until a reader interacts with it. Stuck in my head. I like that—to think that readers are interacting with my story, my characters, my settings. How to cope with bad scores? Don’t. No, I’m serious. If you get a bad score and there’s nothing useful you can use in the feedback, shut it right out of your mind. If you can’t get it out of your head, here’s a thought—praise God that particular judge didn’t feel compelled to go write a review of your book up on Amazon! I’m blessed. I finaled and placed in some amazing contests. I’m in a group of writers who are so talented, I’m awed to be listed with them. Will I ever win? Probably not—hey, were you not paying attention? I said those who finaled with me are awesome! But it’s enough for me just to make the list. Have I NOT finaled in a contest as a published author? You bet. The Edgar Awards. Didn’t even come close. But you know what? I’m proud that I had enough guts to enter. Contests are what they are—subjective because each reader/judge will interact with your story differently. Good, bad, or ugly, I love ’em. I just like to know that readers ARE interacting with my story. That’s enough for me. Isn’t that a beautiful verse? It speaks to us as Christian writers. First, though, I have to say that I don’t believe that verse is speaking about always writing happy, happy words. Rather, it’s about endorsing joy because we write for God. Does the verse mean the story can’t delve into tough places before ending with hope? Nope. It means we offer something the world doesn’t—hope. And hope brings joy. Joy overcame during tough seasons. Joy displayed despite tough times. Joy because you believed God when all circumstances implied otherwise. And as His authors, we’re called to share this with our readers. I believe joy comes from insights. As you spend time in God’s Word, He gives you insights about His character, His plans. Ever opened to a page of the Bible where the verses spoke directly to your situation? And not only did the verses address that situation, they offered direction or a promise. Those times bring joy. In a smaller way, (of course), as your readers devour your books (non-fiction or fiction), may the insights you unfold bless them with joy. May they bring breakthroughs in your readers’ thinking and mindsets. May those insights point with praise to God, so all may rejoice, so their joy may be full. Let’s embrace (risk?) joy. God’s kingdom is unshakable. We can rejoice because this isn’t all there is. We will see Him. We can point others to Him. He puts His joy inside us, and we bear fruit. Joy is a part of the author’s character. Please welcome Tricia Goyer as she discusses researching for historical novels. And though we've all learned something, how many of our writers of historicals have appreciated her visits this month on Manuscript Mondays? Thanks, Tricia! I don't know about you, but I spend twice as much time researching for my historical novels than even writing them. The first thing I do is work through Randy's Snowflake to get an idea of just what I'll need to research. 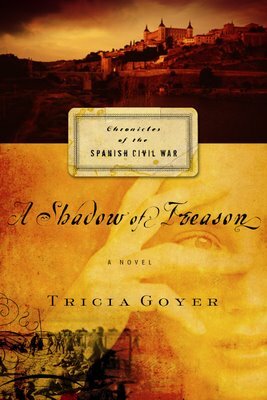 For example, on A Shadow of Treason is about The Spanish Civil War. Before that, for Arms of Deliverance, I wrote about B-17 crews, female war correspondents, the Belgium underground, and Lebensborn homes. After I Snowflake, I promptly go on-line and check out books available in my library system and books I need to purchase. I'll also do Internet searches on the subject, but I usually find much of my information in books. Date, Action (what's taking place), Dialogue, Others (meaning interaction with others), Physical Description, Setting, Additional Research, Worse Possible Scenerio, Outcome. I then read through my books and mark them with small post-its. I also highlight books I own. After that I enter these notes into my Excel databases. I've discovered the more I "handle" the information, the more I'm able to wrap my mind around it. At this point, I use Writing the Breakout Novel by Donald Maass workbook to flesh out my characters and fine tune my plot. In the previous two steps I'll even begin writing short scenes or bits of dialogue as they come to me so I don't lose them. When that is done, I have a basic idea of the flow of my novel and even a very thin skeleton of scenes. Finally, I start a file which is actually going to be my WIP. I alternate between writing the first chapters and moving the Excel notes over into the document. For example, if I know one of my first scenes opens with a B-17 getting attacked by German pursuits over occupied France, I'll create a section with B-17 descriptions, typical crew responses, etc. Then, if I know the next section will introduce my female correspondent, I'll put my research notes for her next. I keep doing this through the document in the basic outline of where I'll need the information. It's at this point I also start looking for WWII vets or other historians to help me. For example, for B-17 crews, I figured out the exact Bomber group and squadron I needed for my WIP and then I searched for men in that squadron. Unbelievably most have websites and organizations, so I email the heads of that organization. The veterans are usually quite flattered that I've chosen them specifically, and many offer to answer questions. I wait this far into my research before involving them, because I want to make sure to ask intelligent questions. I don't need to ask about crew duties, because I've found books to tell me that. Instead, I ask about specific missions, their emotional reactions, their personal experiences in London during liberty, etc. And they love helping! Finally, I write the story. I know that for some of you, this may seem like a crazy amount of research, but I adore it. Also, when I get to the point of writing, I write fast--like 80% of the manuscript in the month and 1/2 before it's due . . . which gives you a hint of what I'm doing this month! Welcome back speaker and author B.J. Taylor as she shares words of encouragement this Fortifying Friday. When the professional photographer set up a fan and started blowing my hair around I wanted to yell STOP. Wind-blown hair, flying all over the place—that’s just not me. It felt uncomfortable. It felt like I wasn't in control--every strand of hair wasn't perfectly in place. It felt, well, different. But I told myself it was okay to stretch, to take a leap of faith, to stick my neck out . . . to blow in the wind. So I let her take the shots. And I looked at them when she was done. Hmmm . . . I liked it. I was out of my comfort zone, but it felt kind of good. There's a saying: If you do what you've always done, you'll get what you've always got. I wondered if I was in a comfort zone with my writing. Reach out and try new markets? That would be too scary. 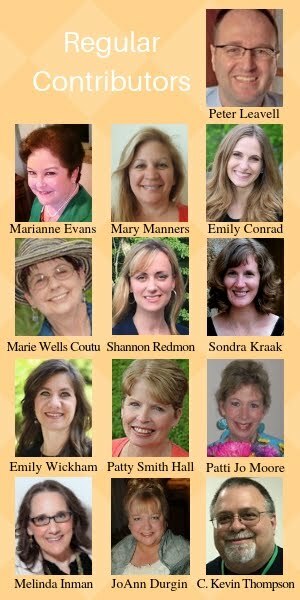 Speak at a women's event? Duckbumps would break out all over my body. Write a novel? Too daunting to even think about. * Write a book proposal for that idea you have. * Speak at an event, or join a speaker's bureau to get your feet wet. * Make an appointment to talk to an editor or agent at a conference. * Submit to three new markets. * Begin to work on your novel (you know you've been thinking about it). * Take a class to beef up your writing skills. * Join a writers group. * Attend a conference this spring. What else can you think of that is outside of your comfort zone? It might be a little scary, and feel quite new and uncomfortable, but pretty soon, if you keep doing it, you'll become more and more at ease with stretching, growing, and blowing in the wind. Fly with me in 2010. We’ll soar to new heights. Happy writing and blessings on your work. B.J. 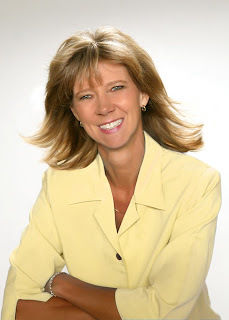 Taylor is an award-winning author and a special correspondent/writer for Guideposts and Angels on Earth. Her publication credits include contributions to John Gray’s Mars and Venus in Love, twenty stories in Chicken Soup for the Soul books, and many other magazines and newspapers including Writer’s Digest, Romantic Homes, Victorian Homes, and Lexus. She was chosen as one of 15 writers invited to attend Guideposts Writer’s Workshop in Rye, New York in October, 2004, and is a faculty member at the Mount Hermon Christian Writers Conference where she speaks on writing inspirational stories. B.J. belongs to three writers’ groups: two face-to-face and one online. She is working on her second novel in a three-book series, which is all about dogs and the people who love them (B.J. calls it dog-lit). She lives in Southern California with her husband, dog Rex, cats Red, Diamond and Bear, and a Beta fish named Fish Face. Who Likes Being Held Accountable? Even though I know it’s usually good for me, I admit there are times when it would be nice to go along my merry way without having to be accountable to anyone. Confession . . . I’m a closet rebel. Most people probably don’t have a clue that I have a problem with authority. You can ask me to do almost anything – but tell me I HAVE to do something and the shot of adrenaline that surges through my body causes my heart rate to soar. I’d hate to have my blood pressure checked at that moment! On the other hand, if I request to be held accountable, that’s another story. I asked one of my daughters – the exercise guru – to help me get back on track with staying fit. On Monday mornings she e-mails the routine she wants me to follow for the week, based on my schedule. Every morning I climb 50 stairs from the parking garage to the floor where my office is located. During lunch, I usually do three sets of stairs. So on most days, I climb a total of 200 stairs. Climb. NOT RUN. Just to be clear! Some days she adds time on the treadmill or a few minutes of weights after I get home. She e-mails every day to encourage me and check in to see if I’ve done what I’m supposed to do. She holds me accountable. She does it because she loves and wants the best for me. Do you think I would do those stairs every morning and afternoon if I wasn’t held accountable? No way! I’d come up with all kinds of excuses here and there, and before you knew it—I wouldn’t be doing them at all. We need to be held accountable in many things. And that includes our writing. Because we should “Give to Caesar what is Caesar's and to God what is God's.” Any gift, talent, or passion for writing that we have comes from Him. It is His. We are only vessels He’s chosen to use. I encourage you to find at least one person in your life who is willing to hold you accountable. Having that person (or group) will help keep you focused on what, where, when, and why you write. We’re to give God what is God’s. Being held accountable will help us give our best. And isn’t that what we all want? To give our best? Welcome to another Writer's Journey Wednesday! (Dawn here.) I admire people who are gifted with writing humorous material. What a blessing they are! They bring much needed laughter into our world. We're honored today to have author Janice Thompson share her tips on writing humor. 1. Create unique characters: Think of your favorite sitcom. For me, Everybody Love Raymond is near the top of the list. Why did I love that show so much? The characters were (individually) hysterical. Each one had his/her own quirks. And those quirks got them into (and out of) jams. When you set out to write a comedy, create a cast of characters that you absolutely love. Don’t just focus on one or two. Choose at least three characters in your story who really have that extra “zing.” Characters that readers will remember for years to come. In my “Weddings by Bella” series, I created several funny characters (and boy, have I heard from readers about them). These characters include Aunt Rosa, Uncle Laz, Bella and the trio of “sisters” from Splendora Texas. These wacky people will stay with me for the rest of my life! I think some of my readers have adopted them, as well. 2. Exaggeration: If your character is tall, make him really tall. Chubby? Make her exceptionally chubby. Nervous? Make him overly anxious. Claustrophobic? Carry it a bit further than the norm. Does she like to wear lipstick? Make it Pollyanna Pink or Ruby Red. Give that character an exaggerated “sticking point” that readers will remember. And, exaggerate plotline highs and lows, as well. Is she in a valley? Make it a deep one. Is he on the mountaintop? Give him the experience of a lifetime. 3. Situational comedy: Spend time watching for humorous moments in your own life. What “situations” get you giggly? Think about placing your characters in a “situation” that will play out in a humorous way. By way of example, let’s look at I Love Lucy. Did we really find it believable that a housewife would take a job in a chocolate factory and end up shoving candies down her blouse? Um, probably not. Did we laugh like hyenas when the episode aired? You betcha! I Love Lucy was the perfect example of a situational comedy. Week after week we waited to see what “situation” our gal would end up in. We empathized with her (this is very important) and we thought she was a little kooky. In short, we saw a little of ourselves in her. 4. Slapstick: Think of Larry, Mo and Curly. Sure, their antics got a little old after awhile, but you get the idea. “Physical” comedy (tripping over things, physical gags, etc.) has always had its place in humor writing. Use these events sparingly, but don’t rule them out. 5. Pacing: There’s much to be said about the placement of words, phrases and inflections. Pacing is truly everything in comedy. In many respects, it is learned by trial and error. If you aren’t sure something is working, run it by your critique partners. See if they’re tickled by your words. 6. Living the Life: Let humor lead the way! In my own life, I find that being funny on the page is easier when I’m truly walking through life with a joyous attitude. It’s not always easy (and life often intervenes, threatening to remove any hint of humor), but for those who live a life of faith, it is possible. The Bible is loaded with all sorts of great scriptures about joy. Check out this verse: "A merry heart doeth good like a medicine, but a broken spirit drieth the bones." (Proverbs 17:22) When we transfer our “merry heart” to the page, then we’re sharing the joy with our readers. Is there any greater honor? Award-winning author Janice Thompson also writes under the pseudonym Janice Hanna. She got her start in the industry writing screenplays and musical comedies for the stage. 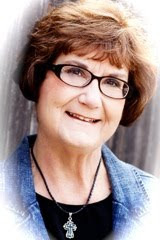 Janice has published over fifty books for the Christian market, crossing genre lines to write cozy mysteries, historicals, romances, nonfiction books, devotionals, children's books and more. In addition, she enjoys editing, ghost-writing, public speaking, and mentoring young writers. Janice currently serves as Vice-President of CAN (Christian Authors Network) and was named the 2008 Mentor of the year for ACFW (American Christian Fiction Writers). She is active in her local writing group, where she regularly teaches on the craft of writing. Janice is passionate about her faith and does all she can to share the joy of the Lord with others, which is why she particularly enjoys writing. She lives in Spring, Texas, where she leads a rich life with her family, a host of writing friends, and two mischievous dachshunds. She does her best to keep the Lord at the center of it all. but have not love, I have become sounding brass or a clanging cymbal. Love is a topic worthy of a year’s worth of posts. The entire thirteenth chapter of 1 Corinthians spells out love’s virtues. Though I write with the eloquence of humans and of angels, if I don’t have love, I come across as annoying; I produce about as much lasting effect as a toddler banging on a cymbal. Love infuses our writing, our work, with value. Love motivates us to reach out to readers, to seek to minister to them. Love directs our path to story elements which we’d likely avoid (as they’re difficult), if we weren’t directed by love. Love penetrates reader’s hearts with truth paired with kindness. That way it’s easier to absorb. In the life of God’s authors, love coexists peacefully with hope (“love hopes all things”). Love and hope take hands and feed our aspirations. As God roams the garden of our hearts, does He find love growing there with hope and faith? Let’s ask Him for a greater love for our readers. I believe God will honor that prayer for the sake of His authors' characters, and for the sake of our readers. This Manuscript Monday, please welcome back author Tricia Goyer as she shares from her experience as a successful author of historical fiction. As a writer of historical fiction, I like to consider myself a translator of sorts. It's my job to take the events of the past and make them understandable to today's reader. No ... more than that ... to make history come alive and make the past an enjoyable place to visit. As a translator I must balance the core values and beliefs of a people in the past with the felt needs of today's reader. If you write historical fiction you too are a translator. The question is ... how much will you compromise the past to connect today? The compromise doesn't mean changing the facts, but rather it means making sure our writing style and delivery appeals to today's reader. Of course, we must also look at our "facts" and consider them from two different points of view. For example, consider the Communists and Nazi regimes. The readers today, who have had even a basic history education, understand these two systems. Yet, how we see both is very different than someone who lived in countries influenced by both. In my Spanish Civil War books I balanced the way communism was viewed by an unemployed American in 1936 with how readers look at it today. To a man in 1936, communism looked ideal. It gave a voice to common man and provided food and honor to men out of work. Still, I also created scenes that showed some of its many weaknesses—as known by today’s reader. Each author must come to his/her own resolution—"How much will I compromise to make my book interesting and exciting to today’s reader?" Personally, my resolution is to bring history to life. To make it as true-to-life as possible … but to write it in a way that will interest today’s reader. I flavor my dialogue in a way that will not slow the story or confuse the reader. I write in dramatic scenes and weave description into the flow. That makes complete sense to me ... as a writer and a reader. Because we live in a different society than 100 or even 50 years ago, our books should look different too. It's compromise, yes. We write about history, far different than historical books are written. But writing words to connect with a visually oriented society is also a way to connect the past with today's reader. Have at it, translator! This Fortifying Friday, author Andrea Boeshaar shares how personal events have spurred ideas for her books. As you move into your weekend - whether you spend time in front of the computer, or time re-energizing in various ways - let Andrea’s experiences inspire you to come up with fresh storylines of your own. People ask me that all the time. Unfortunately, there’s no pat answer. Ideas for my stories come from many different sources. Sometimes a movie. Other times a newspaper or magazine article. Oftentimes a personal testimony from someone at church might ignite my muse. But frequently I get my ideas from personal experiences. Take, for example, my novel Promise Me Forever (Barbour Publishing). I came up with the idea when my husband and I attended a wedding and the groom didn’t show up! No lie! That really happened! The inception of my novel The Haven of Rest (Barbour Publishing) occurred when my mother told me about the old gas station in the small town where she’d grown up. She remarked about how sad it was that the filling station now stood abandoned, along with the building the once housed a Laundromat and my great Uncle Edwin’s second floor apartment. I knew of the filling station, and a nostalgic chord was plucked somewhere deep inside of me. Again, I dreamed up characters and plotted a romance around the gas station and the tiny town of Tigerton, Wisconsin. It wasn’t long and The Haven of Rest was born into print. Another of my novels Love Finds You in Miracle, Kentucky was actually titled How Far Is Heaven and one morning when I woke up I had the entire book’s characters and much of the plot in my head. You might say I dreamed it, although I like to think God gave me the idea while I slept. Ideas for stories can come from just about anywhere and at anytime. So be alert. Be aware. Relax and take nothing that happens around you, and in your life, for granted. There’s probably a story lurking somewhere in your corner of the world. Are you ever impatient with the status of your writing career? Does it feel like other writers are getting all the big breaks while your work – which has potential to save the world - is being ignored? Guess what? You’re not alone. It’s human to want what we don’t have. This is what I’ve experienced, observed, and learned from fellow writers . . . When the journey begins, it’s exciting to studying craft and glimpse the publishing world. Our hunger grows after being accepted for small publications, but we also realize how much we don’t know and how much there is to learn. This is followed by publication of our work in a favorite magazine or receiving a large book contract - which is accompanied by worry that sequential manuscripts will be rejected. Or that our career will be over if the book fails to bring in numbers. The reality that we really do have to be involved with marketing, and how much time and energy it takes is overwhelming. Deadlines loom over our heads. Having time to kick back and relax is a memory. We look back on the good old days when we could just write because we enjoyed putting our thoughts down on paper. Writers who must juggle demanding day jobs with their writing career envy those who are able to stay home. Writers who fight to remain patient while small children tug on them for attention envy those able to work uninterrupted. The opportunities for discontent go on . . . and on . . . and on. But we can choose to be content where we are, and in what we have. We’re blessed to have found our passion. Our calling. So many people search for years. They don’t have a clue as to what they’re supposed to do with their life. They just know that they feel a void. I admit to experiencing discontent some days. I want to be farther up the road. But I’m also grateful for what God has given me through writing - the wonderful friends I’ve made, the interesting people I’ve met, and the avenues He’s provided to grow spiritually. God desires us to be content in all circumstances. He also wants us to trust that He has a plan for our writing career. As difficult as it may be to work hard and wait, when the right time comes, doors will open. Try to savor your personal journey. Each stop along the way will include both disappointments – and joys. Where are you on the “contentment scale” today? Do you post favorite quotes on your computer, around your desk, or elsewhere in your writing space? Do you tuck them away in a journal? I love fun and inspirational quotes. They can bring a smile to my face, spur me to think deeper, and encourage me to persevere. You can also find wonderful nuggets of truth in just one simple sentence. So this week, on Writer’s Journey Wednesday, we’re going to do something a little different. No writing tips today. Instead, I’d like us to share our favorite quotes – and if they’re writing related – all the better! Following last week’s topic of faith, today we’ll zero in on hope. They're very closely related. I’m a prisoner of hope. Not only in my writing life, but in my personal life. There are promises I’m waiting on God to fulfill. And I can’t let them die. I can’t ignore them, deny them, stuff them under the rug. Instead, I wait on God, trying not to quench His Holy Spirit (see 1 Thess. 5:19). In this way, hope holds me prisoner. Are there promises you’re waiting on God to fulfill in your life? Are you hoping in God for a breakthrough in a certain area? Here’s how I think hope grows in us. We hope for a breakthrough in God. He grants it. We praise Him and risk hoping for something greater. Our faith is stretched in the meantime. Eventually we see that second “item” or “event” happen. But what if we have to wait? It’s in the waiting that we find peace when we hope in God. Hope is a fruit of the Spirit. God calls us to hope. And because we can’t let go of whatever it is God’s promised us, or we’ve asked from Him, we become prisoners of hope. But look at that first verse above: the prisoners of hope are promised a double restoration. Hope is a choice and a fruit. You’ll find hope where it was forced through the soil by a season of waiting. You’ll find hope where a blessing long promised manifests. In the mature author’s character, God will find hope. Are there areas where you need to risk having hope? Don’t worry, hope will not disappoint. This Manuscript Monday, we're excited to welcome back author and friend Tricia Goyer. Today's topic: how to turn your pain into good writing. The themes for my novels have a common thread. They center around ordinary people plopped into extraordinary situations (mostly centered around war), and with the guidance of God these people rise above ... and help and save others in the process. Also, all my novels have some level of abandonment by a parent that leads to internal struggles. I never planned this, but looking back it's in all my books! Even my third (and final) novel in my Spanish Civil War series. As I was writing book #3 a light clicked on and suddenly every element of the story came together as it was revealed to me that one of my main characters was abandoned by a parent ... and WHO he really is. I didn't plan that in Book #1, but it seems as if I did. It makes the whole story work and takes the whole series to a deeper level than I anticipated. Hmmm ... as someone who didn't meet my biological dad until my late 20s and who got pregnant and was abandoned by my boyfriend as a teen I WONDER why I keep writing about this issue?! One Easter morning, as I sat in the chapel at the Delaware State Prison waiting to preach, my mind drifted back in time ... to scholarships and honors earned, cases argued and won, great decisions made from lofty government offices. My life had been the perfect success story, the great American dream fulfilled. But all at once I realized that it was not my success God had used to enable me to help those in this prison, or in hundreds others like it. My life of success was not what made this morning so glorious--all my achievements meant nothing in God's economy. No, the real legacy of my life was my biggest failure--that I was an ex-convict. My greatest humiliation--being sent to prison--was the beginning of God's greatest use of my life; he chose the one experience in which I could not glory for his glory. Confronted with this staggering truth, I understood with a jolt that I had been looking at life backward. But now I could see: Only when I lost everything that I thought made Charles Colson a great guy had I found the true self God intended me to be and the true purpose of my life. It is not what we do that matters, but what a sovereign God chooses to do through us. Consider this in your own writing. Do your historical novels have elements of your greatest loss and humiliation? If not, my suggestion is that you prayerfully mine those areas, because it is there you can write with passion, pain and conviction. It is from those hurt places that you will touch the soul of a reader in ways you never expected. Earlier this week on Seriously Write, Carla Stewart gave “Ten Tips for Engaging Your Readers.” We’re thrilled that her debut novel, Chasing Lilacs, releases this June and that she’s returned on this Fortifying Friday to share her journey to publication. Enjoy! In 2001, when God nudged me to follow my writing dream, I had confidence in my instincts—my better-than-average spelling and grammar, my ability to put together a coherent sentence. I read voraciously and understood the power of story. I pounded out a novel in three months and skipped off to my first writing conference. Even though one of the speakers warned it might take several years to have a book published, I had a feeling he was misinformed and that I would be soaring with eagles in no time. My first novel did get an editor request at the conference and it was possibly the quickest rejection I ever received. 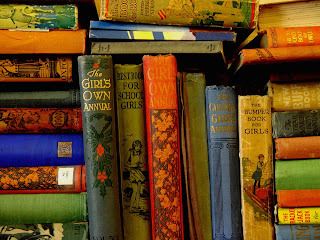 The book, a poorly plotted mystery, went to the bottom of my closet, and I switched genres, trying my hand at women’s fiction. The only problem was my protagonists were unsympathetic, my premises boring. The bottom line was that, while I had some skills, I had no idea how to put them to work to write a novel, so my season of waiting began. And while waiting implies a certain passive attitude, I’m convinced Isaiah didn’t mean that at all. They shall run and they shall walk indicates we are to be engaged in the work, gaining strength and wisdom as we wait. I immersed myself into learning the craft and instead of expecting a quick sale, I aimed for excellence. I was invited to the Guideposts Writers Workshop in Rye, New York and had the joy of working with editors of that wonderful publication. I entered and won several contests (and lost my fair share too). In 2004, I began a new story—one that grabbed hold and wouldn’t let me go. When I finished, I began querying agents and received over thirty rejections. I wrote other things, but didn’t forget the story of my heart. Then in 2006, I learned about ACFW and applied for a paid critique at their annual conference. I’m still stunned at the encouragement I received. Over the next six months, I had a freelance editor look at the manuscript, did a complete rewrite, and entered the Genesis contest in 2007. It was tricky because my story, set in 1958, didn’t qualify as contemporary or women’s fiction, but according to the guidelines fell into the historical category. No one was more surprised (or delighted) than me when A Dandelion Day (my novel’s title back then) won! Over the next several months I waited to hear from those who had requested my proposal, and in April of 2008, signed with an amazing agent. Seven months later, the manuscript sold to FaithWords (Hachette Book Group). This June, you will find me soaring, maybe not as gracefully as an eagle, but flapping my wings nonetheless, when Chasing Lilacs—my debut novel—releases. NINE years after I began this journey toward publication. Perseverance counts. So does learning the craft. You may grow weary and feel faint, but don’t lose heart. Run toward your goal, and God will provide direction and strength. It’s an awesome calling and privilege to be a writer. So is waiting on the Lord. Thanks so much, Dawn and Annette, for having me here. Blessings to you and your readers. 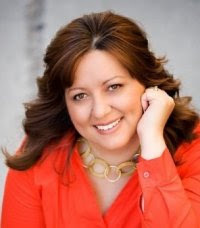 A two-time ACFW Genesis winner, Carla Stewart is a Guideposts Writers Workshop alumna and has been published in Guideposts, Angels on Earth, and several regional magazines and anthologies. Her debut novel, Chasing Lilacs, releases in June 2010 with FaithWords. Carla enjoys a good cup of coffee, weekend getaways with her husband, and the antics of their six grandchildren. This past week I’ve spent a great deal of time thinking about how we’re judged on performance in all facets of our lives. 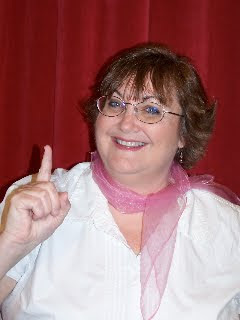 I even posted an article titled, “Judged on Your Performance,” on my blog, From Dawn ’til Dusk. I began contemplating this topic while watching a women’s figure skating competition on TV. The stakes were high because the two skaters with the highest scores not only won medals for that competition, they were also given spots on the U.S. Olympic team. Young women skated across the ice, displaying their skills, knowing that every move was being analyzed. A tremendous amount of pressure! But what does being judged on performance mean for us, as writers? If you’ve ever entered a writing contest, you've probably experienced a little anxiety while waiting for the results and the judge’s comments. If you received high scores, you were probably elated and encouraged. But if you received low scores – you might have said a few expletives and walked away from writing for several days. You were judged on your performance. You were given a grade, just as you were while in elementary school, high school, and college. And don’t we all want to get As? For unpublished authors, it can feel like your family and friends are judging your performance when they ask, “How’s the book coming?” and you’ve only finished a few more chapters since the last time they inquired. Or if your manuscript has been rejected, it can be difficult to confess that information to someone who doesn’t understand how the publishing world operates and how difficult it is to compete in that world. Feeling the pressure to perform doesn’t stop once you’re published. Then you’re judged on how many books you write, how fast you can write, if the latest book is written better or as well as the last one, and how good the sales numbers are looking. All of us may feel pressure to perform when it comes to juggling family needs, volunteer responsibilities, and other jobs while still trying to pursue our careers in writing. Oh, yes . . . our performance is judged every day in one form or another. But we can take delight and rest in the fact that God doesn’t look at our performance. He doesn’t hand over report cards with As for excellence and Fs for failing. He looks at our hearts and loves us unconditionally. How have you felt pressure to perform? Annette and I have attended the American Christian Fiction Writers conference for years and have enjoyed Carla Stewart's gentle presence as another attendee. We’re thrilled that her debut novel, Chasing Lilacs, releases this June. 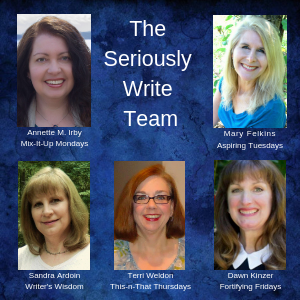 She’ll return to Seriously Write this Friday to share her journey to publication. When asked for advice on writing, Elmore Leonard once said, “I try to leave out the parts that people skip.” Ouch. I don’t want people skipping over the words I’ve so carefully written and poured my heart into. And you don’t either, so assuming you have great characters and a plot to die for, here are ten tips to add pizzazz to your prose and keep your readers engaged all the way through your book. Here’s the challenge: See if you can employ three or more of these elements on every page. · Engage the senses: sight, sound, smell, taste, and touch. Smell, in particular, is a powerful “hit” as it is the only sense associated with memory. What do you think of when you smell cinnamon? New rain? Honeysuckle or lilacs? · Emotions. Allow your readers to experience your character’s rage, fear, sorrow, a tender caress or being green with envy, victorious, joyful, betrayed, doubtful. How? Showing, of course. Hurl those vases through the picture window and portray your hero’s sagging shoulders when shunned by the girl of his dreams. 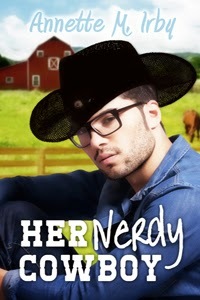 · Engage your reader’s imagination by taking them to another galaxy, the Amazon jungle, a musty bookstore, a saloon in the 1800s. Treat them to the haute couture of Fifth Avenue or the inner workings of veterinary clinic. Sprinkle the details in gradually and avoid information dumps (one of the parts people skip). · White space. Have you ever come upon a long stretch of narrative or internal thought and found yourself skimming? Break up these passages by tossing in some dialogue or two-word paragraphs. · Speaking of dialogue—make it snappy. Whether fun and sassy, with a touch of irony, or filled with an ominous threat, keep the story moving forward with careful attention to the unique way your characters speak. · Teasers for what lies ahead. How about that unplanned child? The big dance? Dreaded lab results? Does your character have a secret? Sprinkle hints throughout your novel to make your readers squirm. 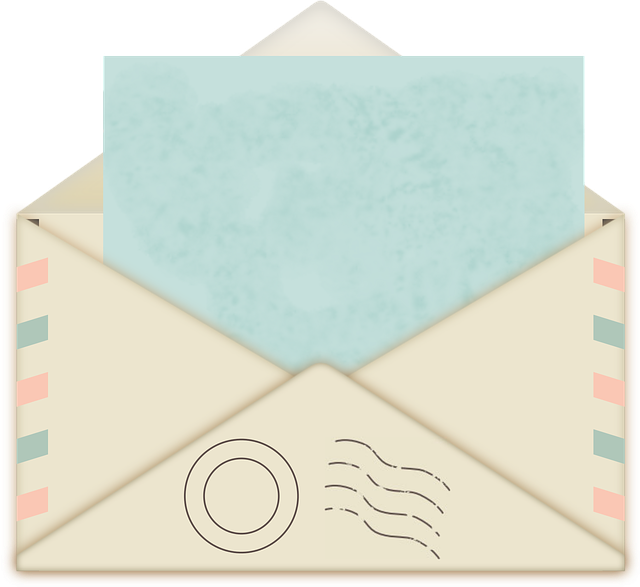 · Information nuggets: aka known as “factoids” which make the reader feel smarter than a fifth grader. Examples: Secret ingredients, how to spot counterfeit money, the difference between a rifle and a shotgun. · Give ‘em the old Razzle-Dazzle: Craft poetic or insightful metaphors and similes that bring fresh perspectives to your prose. Avoid clichés and worn out phrases that make the reader yawn. · Micro Tension: In The Fire in Fiction, Donald Maass advocates moment-by-moment tension to keep the reader in a constant state of suspense over what will happen not in the next chapter, but in the next sentence. In dialogue, this is often found in subtext: words not spoken, but that carry an undercurrent that sizzles. · Hooks: These don’t occur on every page and come in many shapes and sizes. Whether you use a cliff hanger, an upset in status quo, slip in a tidbit of new information, or stop in mid-scene, don’t overlook a great hook. There are other techniques, but if you start here, you’ll give your readers a reason to keep turning the pages. Try it on your current manuscript and watch the magic begin! I’m pulling for you. self-control; against such things there is no law. There aren’t many fruits to harvest this time of year in the Northwest. It’s not the right season. In fact, it’s rather dead here, so far. But spring is on the way. How can I say that? Well, God is faithful, and He promised seasons would consistently change so long as the earth endures. And I believe God. I have faith. This year on Net’s Notations Tuesdays, we’ve been discussing the fact that Jesus it the ultimate Author and He is working on our characters as His authors. This month—February—we’re going to consider the fruits of the Spirit and how they are part of our character. They impact our lives, bless God (if we’re fruitful), minister to other people, and influence our writing. Believers can’t get very far without faith. You can’t even believe in God without faith, right? But thank God, as soon as we reach out to Him, He grants us faith to believe. As you mature, you believe Him for more aspects of your walk with Him. What are you believing God for? As God draws us nearer to Him, I believe, He plants His dreams in our hearts. We begin to long for the things of God. His dreams become our dreams. But to see those dreams come true, especially in the face of trials or rejection or naysayers, we have to have faith. So, on this journey of writing, of reaching others with your inspired words, embrace faith. As you wait on God, let God reassure you. He doesn’t mind bringing confirmation. He’s the Author and Finisher of our faith. He grants us faith, stretches our faith, tests our faith and rewards our faith. He looks for faith in us authors because He’s working on His authors’ characters. 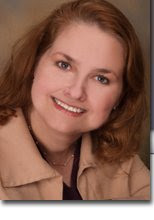 Please welcome Tricia Goyer this month as she shares on writing historicals. She's a prolific author of so much more than historical fiction, but we're sure to learn a lot from her experience. Thanks, Tricia, for blessing our readers this Manuscript Monday. Hi! I'd like to start by introducing myself. 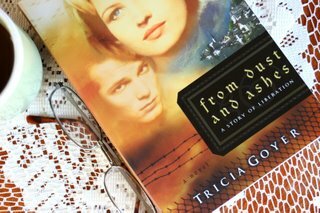 My name is Tricia Goyer, and I'm the author of eight books, including four WWII novels. When I first starting writing, I never even considered writing historical novels (too much research!). I wrote articles, devotionals, and proposals for contemporary novels. And then, something changed all that . . . well, here's the story behind my first historical novel. I can clearly remember when my interest was sparked by the liberation events that took place in St. Georgen, Austria during World War II. An Austrian historian had invited me and my friends into her home, serving up tea and bread, meat and cheeses. It was the end of a long day of travel, and I secretly desired a hot shower and a soft bed. But it wasn't long before our host had me intrigued with her true tales of villains, prisoners, and GI heroes. I sat--eyes wide--as Marta described the twenty-three, American GIs who had stumbled upon the Gusen camps May 5, 1945. I imagined their horror as they witnessed prisoners reduced to skin and bones. Or worse, piles of corpses. But Marta also spoke of other things, such as the first help to enter the camp--a young Nazi wife with her children on tow. Who was she? I wondered. Obviously, she had not believed in the Nazi persecution. What would it have been like to helplessly witness such horror? How was her life forever changed? I also imagined those prisoners who were mere days from death. How did they go on after facing such hatred, such loss? Just the night before, on a dinner cruise in Prague, I had sat elbow to elbow with a young Jewish girl and her brother. "Fifty years ago, they would have been killed," my friend whispered in my ear as we talked and laughed with our new friends. It was then that the horrors of WWII became real, and I knew I would never be the same. After we left Marta's house that night, I turned to traveling companions--also fiction writers. "Are you going to write about this?" At that moment their "nos" became my "yes." I went home with much excitement and began researching the events concerning the liberation of Gusen and Mauthausen death camps. But I soon realized no articles or fuzzy, black and white photos could ever take the place of speaking with those who were actually there. So in August 2001, I was invited to attend the 59th reunion of the 11th Armored Division. In Kalamazoo, Michigan, I spoke to the brave men, now in their 70's and 80's who had liberated the death camps. Their bodies have aged, but in their hearts they are still the same brave, young soldiers who witnessed so much. As the research progressed, I was also able to visit Austria a second time to participate in the memorial services celebrating liberation so many years prior. And while there, I spoke with others, including a man who was just twelve-years-old in 1945. I was awed as he led me through the streets where former SS houses still stand. And tears formed in my eyes as I stood before the guesthouse of the brave, Nazi wife, now gone. So fueled by memoirs, oral histories and personal interviews, I began to write. And in my mind, the streets of St. Georgen and the events of 1945 soon became as real as life around me. On that sunny day in October, my greatest concern had been resting after a long day of travel. It was only later, after months of writing, that I realized God's intentions were far greater. His plan was to have me share a story of liberation. A story inspired by true events . . . and true heroes.